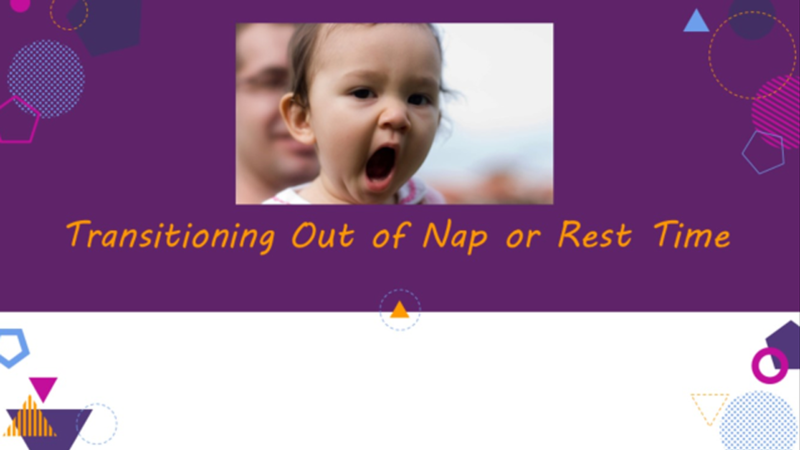 In this, our last video on transitions related to nap or rest time, we’re looking at how best to help children awaken and then go quietly to prepared learning centers or into a group led by a teacher doing quiet activities. Children have varying body rhythms (I know it takes me a long time to wake up! ), so they should be allowed 15 to 20 minutes following nap or rest time for quiet activities.